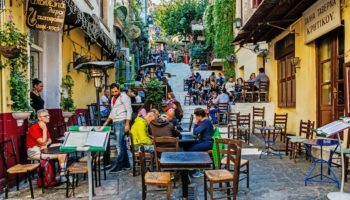 From the Acropolis that still dominates the city’s skyline to the ancient Agoura where Socrates and Plato once strolled, Athens is a place where the past is always present. 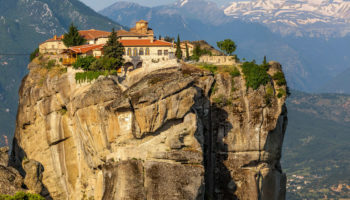 Despite the economic challenges that Greece has faced in recent years, the cradle of Western civilization has plenty of contemporary attractions to offer. 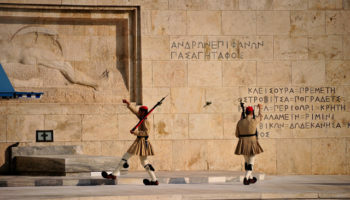 As the primary entry point to Greece, the country’s capital serves as a launching pad for excursions outside the city too. 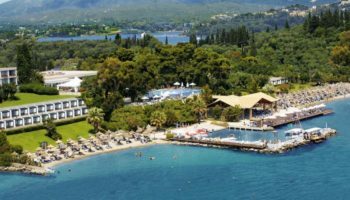 Day trips from Athens range from outings to nearby sites like the Temple of Poseidon to day cruises to the engaging islands of the Saronic Gulf. 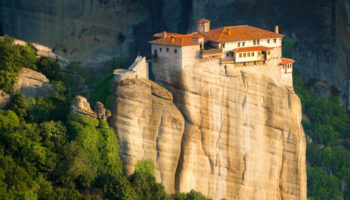 Here’s a look at the most popular day trips from Athens. Situated on the narrow isthmus that joins the Peloponnesus to mainland Greece, the ancient city of Corinth has been undergoing excavation since 1892. The Greek city thrived for millennia before the Romans razed it in 146 B.C., and then prospered again after it was rebuilt a century later under orders from Julius Caesar. Archeological finds at the site span many centuries and range from beautiful examples of ancient Greek pottery to colorful Roman mosaics. 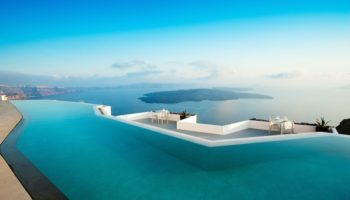 The site’s star attractions include the remains of a classically Greek temple to Apollo that dates back to the 6th century B.C. and the Bema platform from which St. Paul orated before the Roman governor in 52 A.D. 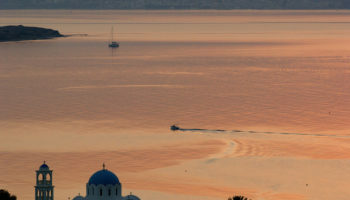 The island of Aegina’s close proximity to Athens makes it a popular destination for local and tourists alike. Hydrofoil ferries from Piraeus whisk visitors to Aegina in just 40 minutes. Famed for its pretty beaches and pistachio orchards, Aegina also has several important ruins that reflect the island’s wealth and importance as a maritime power in the 7th and 6th centuries B.C. The artfully designed Temple of Aphaea became a favorite subject among Neoclassical and Romantic artists in the 19th century who considered the temple’s beauty on par with the Parthenon in Athens. Excavated artifacts from the site are on display at the Aegina Archaeological Museum. Characters from Homer’s tales of the Trojan War seem to come to life at ancient Mycenae located southwest of Athens. First excavated by German archaeologist Heinrich Schliemann in 1874, the ruins of a hilltop citadel were once the Bronze Age home of the fabled Agamemnon and his wife Clytemnestra. While the golden treasures of Mycenae have been removed to the National Archaeological Museum in Athens, visitors can still walk through the famous Lion’s Gate, climb into the site’s secret cistern and explore the royal tholos tombs, giant beehive-shaped stone structures built between 1500 and 1650 B.C. A grand open-air theater is the main sight in the municipality of Epidaurus. Nestled among rolling hills, the 14,000-seat amphitheater dates back to the 4th century B.C. The theater’s acoustics are so perfect that it is still considered a prime venue for dramatic productions today. 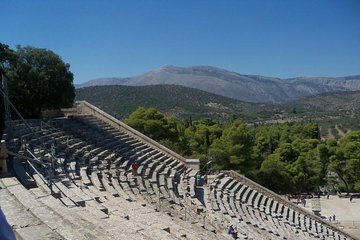 Epidaurus is also notable for the Temple of Asklepios located north of the theater. One of the most famous healing centers of the ancient world, patients would spend the night in the great sleeping hall, waiting for the healing god to visit them in their dreams. The sanctuary includes remnants of Greek baths, physician rooms and an expansive gymnasium. 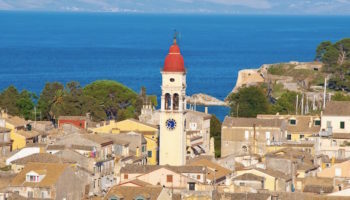 A two-hour drive from Athens brings travelers to Nafplio (or Nafplion), a beautifully situated village in the Peloponnese region of southern Greece. Graced with attractive narrow streets and elegant Venetian houses, the seaside city extends into the harbor on a hilly promontory jutting into the Argolic Gulf. Incredible vistas of the harbor and town are reason enough to visit Nafplio, but there are several Venetian fortresses worth viewing too, including the petite 15th-century Boúrtzi castle built on a small island in the bay. The much larger 18th-century fortress of Palamídhi overlooking Nafplio is the best-preserved of its kind in Greece. It’s accessible by car or by climbing the 999 steep stone steps to the top. 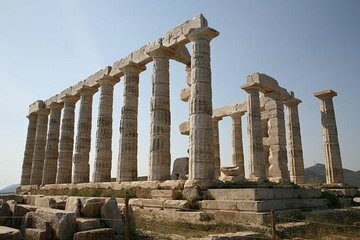 Located a short drive east of the capital, Cape Sounion is one of the most popular destinations for day trips from Athens. Perched atop the headland at the tip of the Attica peninsula stands the ruins of the Temple of Poseidon, which was built in the 5th century to pay homage to the god of the sea. The Greek temple has been a must-see spot for tourists since 1810 when Lord Byron etched his name into one of the shrine’s 15 original columns. The site is most visited at sundown when the temple glows golden from the rays of the setting sun. Prized for its unspoiled character, the island of Hydra offers day-trippers a delightful break from the hustle and bustle of life in Athens. 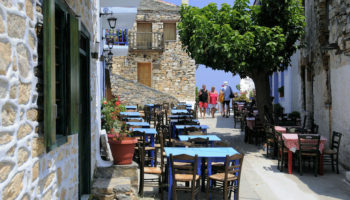 Motor vehicles are off limits in Hydra, which makes the island the perfect spot to enjoy some rest and tranquility. Aside from the occasional donkey ride, walking is the island’s main mode of transportation. The handsome 18th-century mansions along the waterfront are the island’s primary attractions and exploring the beautiful architecture makes for a leisurely sightseeing activity. Known as an artist community since the 1960s, Hydra’s steep stone streets are lined with studios, galleries, craft shops and bars. 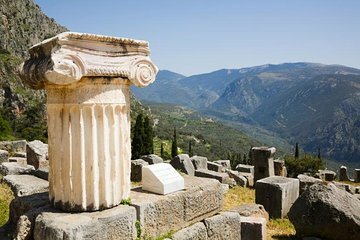 The ancient site of Delphi is best known as the place where for millennia, a succession of oracles interpreted messages from the gods for the benefit of those seeking wisdom. Spread over the slopes of Mount Parnassus northwest of Athens, Delphi is a huge site that includes a theater and stadium where the Pythian Games were held every four years. Visitors approach the site of the oracle by way of a paved pathway lined with remnants of monuments, statues and administrative structures covered with inscriptions. The nearby Delphi Archaeological Museum displays a wealth of bronze artifacts, sculpture, friezes and pottery excavated from the site. From Athens it takes about 3 hours to get here by bus, so most people opt for an organized trip.